We currently have 5 of these classic grey armchairs for sale, which you can view by clicking on the image shown at the top of the page. A classic design, with a cool, contemporary finish, these chairs will add understated style to your workspace. If you would like some additional information about these products, including cost and delivery options, you can get in touch with our sales team by calling 07944 508282. 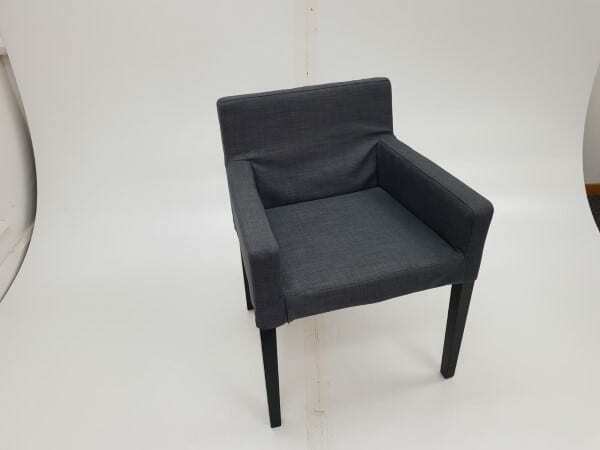 If, however, these chairs are not exactly what you are looking for, we have a wide range of other second hand reception chairs in stock at the moment, which you can view by clicking on the link provided. As always, you can view these chairs, along with all our other used office furniture, in our showroom on a daily basis.